Good news! You can now use giftcards on-line as well as in our store! Sure, shopping for books online is fast and convenient. 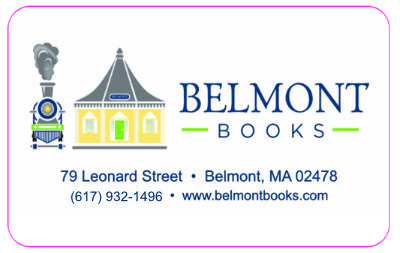 But give someone one of our Belmont Books Gift Cards and you won't just be buying them a book. You'll be giving them a ticket to one of the most dangerous stores on Earth. That's right. Within our 4,000+ square feet, we have 1,000 murders a day, hundreds of solved and unsolved mysteries, goblins and dragons and bears (oh my!) running amok through the shelves, crossword puzzles battling for supremacy over sudoku, and at least 100 chefs throwing down with grills, soup ladles and quinoa. So fill out the information. Click Buy. Your ticket to bookstore adventure is on its way! Need to check your gift-card balance? Click here. DELIVERY: For security reasons, we cannot offer local delivery on these items. Gift cards can either be picked up at the store or mailed to the recipient via USPS Priority Mail.